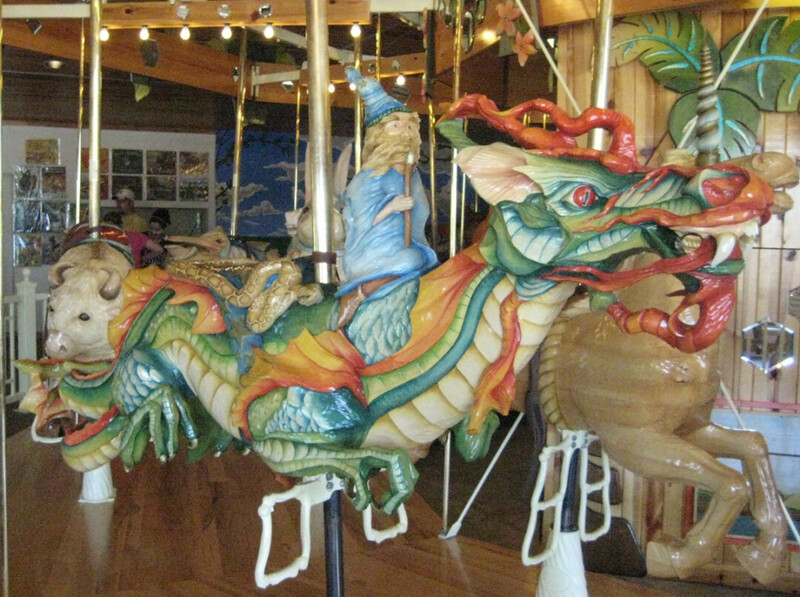 You're looking at a wooden carousel dragon, handmade on-site at LARK Toys. Kellogg, Minnesota’s famed LARK Toys toy store ain’t your average Toys “R” Us. One of the largest independent specialty stores in the country, LARK houses over 20,000(!) square feet of mind-blowing kid spectacular-ness. Besides room after room of unique toys and games, they’ve got an amazing, working carousel full of huge, hand-carved creatures; fantastic wooden toys (made on site); a children’s bookstore; nostalgic replicas and collectibles; funky costumes; a full café and ice cream parlor; mini-golf; and behind-the-scenes glimpses at their ongoing projects. Also, llamas. Llamas! Seriously – you’ll definitely have just as much fun as your kids. It’s right outside of Wabasha on the Mississippi River, so there’s plenty of beautiful scenery to be found in the surrounding area, as well. BONUS: LARK Toys is less than seven miles from Wabasha’s National Eagle Center.